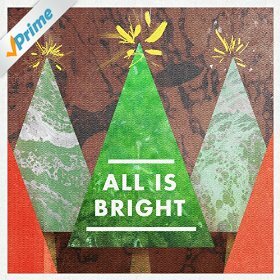 NEW CHRISTMAS SONG "LIGHT A CANDLE" FEATURED ON AMAZON'S HOLIDAY PLAYLIST "ALL IS BRIGHT." Jenn's latest release "Light a Candle" is available on the Amazon Holiday Playlist with the likes of Lucinda Williams, Anna Nalick, Brandi Carlile, Ashley Monroe & more. Click here to download it now. For those who have a creative edge, Amazon is now accepting submissions for single art for the song. Visit www.allisbrightart.com to submit your work.